The PJ-58 3200 is a Projector built to display a nice large screen on a flat surface. 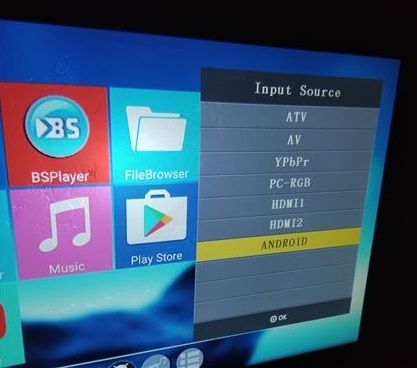 It has many inputs including VGA, HDMI, AV Component, USB, and YPbPr. 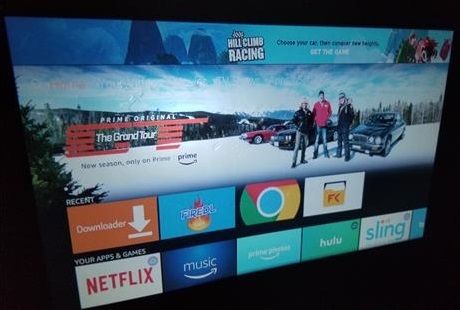 This means it can play from the built-in android hardware or display from most any other devices such as a Fire Stick or Xbox. The screen can be adjusted up-to 200 inches making it able to display a very big picture. 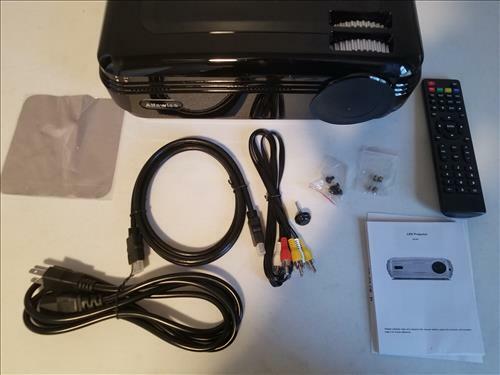 The package comes with the projector, power cord, component cable, HDMI cable, lens cleaning cloth, height adjustment screws, fuses, instruction manual, and remote control. A remote control can be used or the controls are on the top with input source, menu, enter, volume, channel, and power. The lens has adjustments for the screen to focus. 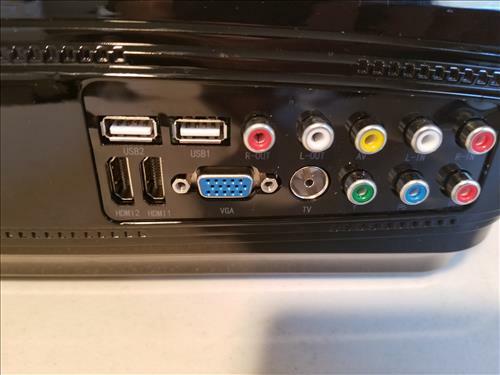 The back has many inputs including 2 USB ports, Component, YPbPr, 2 HDMI, VGA, and Cable input. With the many ways to connect to the projector most devices will have no problems displaying though the unit. Starting the unit it comes up to a basic Android Launcher. There are two controls on top to focus the screen on the wall. It comes with some good basic hardware with a S905X CPU and 1GB of RAM. While the built-in hardware can be used to play videos or display images, connecting other devices to the unit and projecting a very large picture is the real benefit. The Launcher is basic but works well enough to connect to WiFi or get to Apps. It comes with basic Apps installed such as the Play Store and a Browser. Most any other device can connect to it and be projected such as a Fire TV Stick, Android TV box, or gaming consoles. 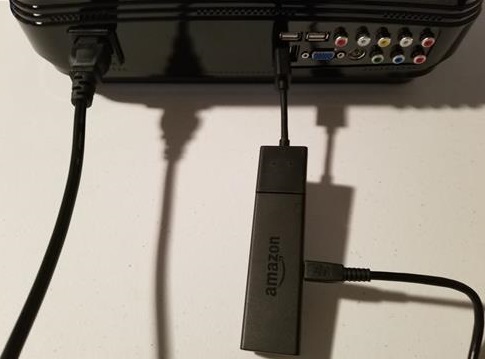 To test the input I plugged in a Fire TV Stick to one of the HDMI ports. The Fire TV Stick displayed very nice and was simple to setup. It can project up-to a 200 inches so it can display a huge screen when wanted. The projector Bulb can display at 3200 Lumens which is bright enough to see with the lights on. A picture is easier to see with the lights dimmed but the 3200 Lumens is much brighter compared to many other units. 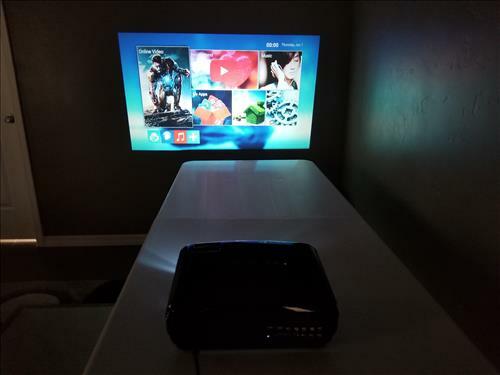 The PJ-58 X 3200 is a very nice projector with some good basic built-in android hardware. Most will likely not use the built-in android hardware and simply display from other electronics but it is nice to have. Setting up the unit with other devices is simple by plugging in to the input and selecting it with the remote control. 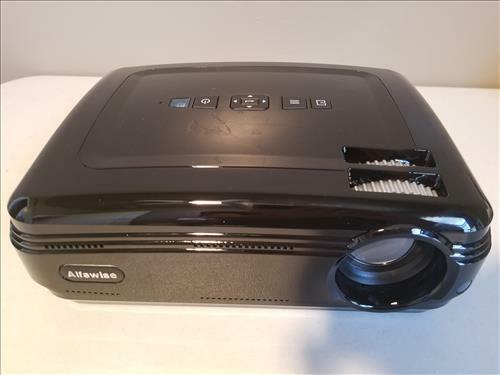 The projector can be used in many scenarios from simple gaming to backyard barbecues. Would be great if you could comment on the quality of video playback on the Android system. Specially hd content. Will be helpful for people looking to buy the Android version. The built in S905 CPU and 1 GB of RAM is basic. It will play SD or HD 720p video but will stutter with 1080p or 4K. It would be best to plug in another media player and have it project a HD image. Anybody have put 4k content on this projector? i can’t find anything on the internet about the real 4k video testing..! The built in S905 CPU will not run 4K very well but other devices plugged in to it can with it having no problem displaying 4K. 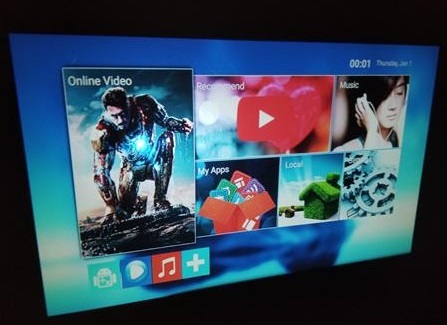 For example a Fire TV Stick or 4K android TV box can plug into it and the unit will display a HD image on the wall. What about the fan noise ? Is this a “quiet” projector or as many low cost projector also a “plane noise source” ? Thank you for your complementary review. It runs very quiet with a slight fan hum that can barely be heard.